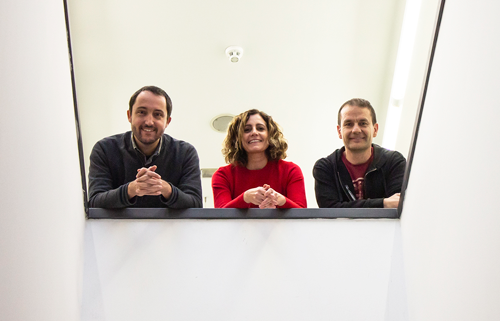 Lorenzo Albertazzi and Nuria Montserrat, IBEC’s Junior Group Leaders selected in the 2014 Tenure Track programme, have been successfully consolidated as Group Leader as of 1st January 2019, following a positive evaluation by the ISC. IBEC’s tenure track programme aims to support career development by helping young researchers establish their own independent research lines. Other factors considered included the added value offered by their projects to the current IBEC research programme, and the ability of the selected candidates to carry out efficient group leadership and management. The first four junior group leaders selected by the programme in 2012 – Eduard Torrents, Elisabeth Engel, Pere Roca-Cusachs and Xavier Fernández-Busquets – were all successfully consolidated as Senior Group Leaders as of 1st January 2017. 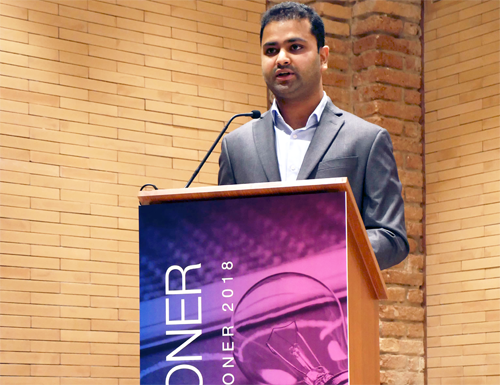 Jemish Parmar from IBEC’s Smart Nano-Bio-Devices group has been awarded a Premi Pioner from CERCA for his Doctoral Thesis “Micromotors for Environmental Applications”. Since their launch in 2014, the prizes recognize researchers who present a doctoral thesis with results that are clearly aimed at commercial exploitation. The third IBEC winner of one of these prestigious awards, Jemish was honoured alongside the three other winners – from ICFO, CTFC and IGTP – at a ceremony yesterday. 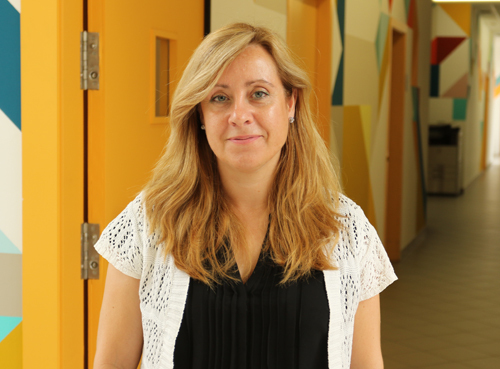 IBEC group leader Silvia Muro has been granted funding in MINECO’s ‘Explora Ciencia’ and ‘Explora Tecnología’ 2017 call. It’s the first competitive grant for Silvia and her group since she joined IBEC at the end of 2017, and one of only 97 research projects to be financed out of the 1594 applications submitted – a success rate of only 6%. The project, ‘Controlling the differential transport of therapeutic cargoes into versus across the BBB (BBB2GATE)’ will aim to develop drug vehicles that can cross the blood-brain barrier using the natural routes that the body’s substances use to circumvent this obstruction. The biotechnology company Iproteos, IBEC and the Vall d’Hebron Research Institute (VHIR) are set to develop an innovative treatment to slow down, stop and even reverse the growth of solid tumors, which represent more than 90% of cancer cases. This year an IBEC project has won the Fira Recerca en Directe 2019’s public poll for most popular project, with 26.94% of the votes. 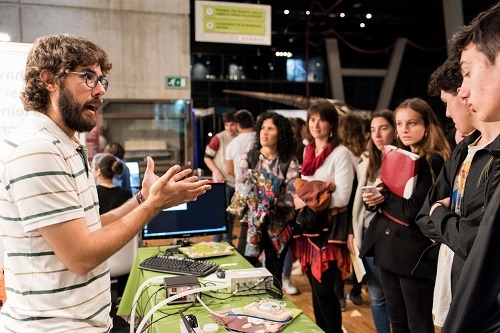 “CRISPR and the regeneration of organs” is one 11 activities which will take place at the research fair on 6th -14th March 2019 in CosmoCaixa. This annual festival of science, organised by Parc Cientic of Barcelona in collaboration with Obra Social “la Caixa”, is a chance for research groups and universities to bring the latest in research to the attention of the public and school-age visitors with exciting demonstration stands and activities. 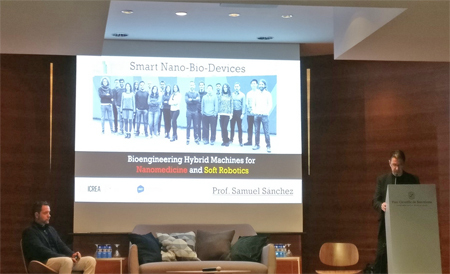 The nanoBio&Med2018 International Conference opened today with IBEC Director Josep Samitier chairing the first round of talks, in which group leader Samuel Sanchez is the first speaker. Other IBEC speakers and participants throughout the three-day event will include Rafael Mestre, Anna Lagunas, Silvia Pujals, Xavier Arqué and Samuel Ojosnegros, as well as UCL’s Giuseppe Battaglia, who will join the institute soon. Taking place at the PCB, the IBEC-supported event – now in its fourth year – presents the most recent international developments in the fields of nanobiotechnology and nanomedicine and will provide a platform for multidisciplinary communication, new cooperations and projects to participants from both science and industry. 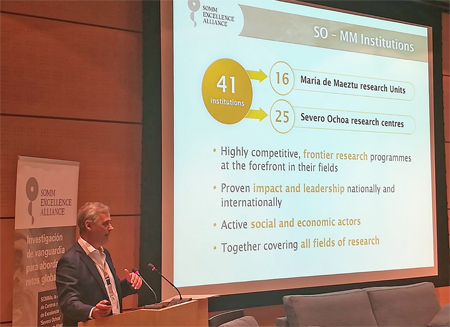 Today Spain’s Severo Ochoa Centres of Excellence – including IBEC – and the María de Maeztu Units of Excellence are at the CNIO in Madrid for 100xCiencia.3, the annual event of the SOMMa alliance. This year’s 100xCiencia is devoted to ‘Bringing Science and Society’, and IBEC is participating with a poster about its outreach activities. As well as representatives from the research centres and units, the event is being attended by politicians, journalists and civic figures to debate about the different aspects of how and why science is important for society. Anna Labernadie and Irene Marco, postdocs in the Integrative Cell and Tissue Dynamics and Biosensors for bioengineering groups respectively, won fellowships under the first Junior Leader “la Caixa” call, which helps excellent researchers of any nationality who wish to continue their research career in Spanish or Portuguese territory. Anna was one of 10 postdocs to win a ‘Retaining’ grant for candidates who are already residing in the countries, and Irene was awarded one of 20 ‘Incoming’ positions for those coming from elsewhere. Projects led by IBEC group leader Xavier Fernandez-Busquets and Associated Researcher Antonio Juarez have received funds from 2017’s La Marató de TV3 fundraising campaign. These and 34 other winning projects were announced at an awards ceremony tonight at the Academia de Ciencias Médicas de Cataluña y Baleares in Barcelona of the 2017 edition of the telethon, which was dedicated to infectious diseases. La Marató de TV3, together with Catalunya Ràdio, broadcasts its annual telethon to raise funds for scientific research into various diseases with a different theme each year. The 2017 edition of La Marató ran from December 17th until March 31st and raised €9,758,075 for the 36 projects and 55 teams awarded. 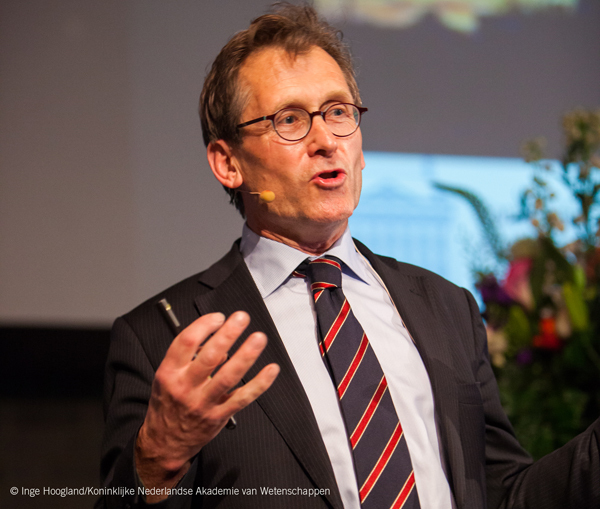 Ben Feringa (left), Nobel Prize in Chemistry winner in 2016, will be one of the speakers at the second International Symposium on Photopharmacology (ISPP2018) on 1st-2nd November. Co-organised by IBEC, UVic-UCC and IQAC-CISC, the symposium will take place in the Torre dels Frares building at the UVic and will be attended by more than 120 people, the vast majority of whom will be coming from countries other than Spain. Introducing a drug into the human body that remains inactive inside it and only acts when, where and how we tell it to will be possible within a few years with the application of photopharmacology, a new branch of science that uses light to control the activity of medication.